On the 23rd of August, something monumental for developers MercurySteam and the game Raiders of the Broken Planet will occur. That day the fourth campaign, Council Apocalypse, will release. Much more important than that, on Thursday the 23rd of August the game Raiders of the Broken Planet will no longer exist. This is the day that Spacelords is released, replacing Raiders. Spacelords is, simply, a complete rebrand and reboot of Raiders of the Broken Planet. The rebranding is understandable for a number of reasons. There are the failings of Raiders and why it failed to draw in the audience that it could have. There are the changes that Raiders have made to improve and draw people in. Then there is what exactly Spacelords is and what it does differently. Frankly, I’m more excited for Spacelords than I ever was for Raiders. I’ve got a lot of time for somebody who can own up to their mistakes and learn from them. This is something that Enric Álvarez, the co-owner of MercurySteam and Game Director of Raiders of the Broken Planet very quickly did and seems to be doing now. Raiders was a flop and hasn’t worked out for the company, that’s a simple fact. Enric openly admitted they ‘screwed up’ on a number of areas. This is where Spacelords makes its appearance. 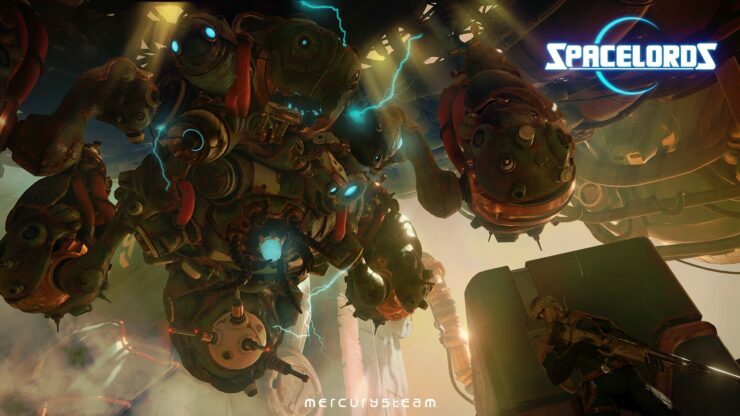 Spacelords is an attempt to continue what MercurySteam have been succeeding with ever since the launch of the third campaign. When Raiders initially launched it wasn’t a typical free to play title. There was a small amount of content available for free but extra campaigns cost £/$/€9.99. The company hoped that the initial missions would draw people in and the relatively low cost would seduce people into paying for the campaigns. Sadly, it wasn’t the case. People were turned off by the paywall. Rather, it didn’t truly feel like a free to play title. At least this is true on the PC, which makes up less than 5% of Raiders active player base. 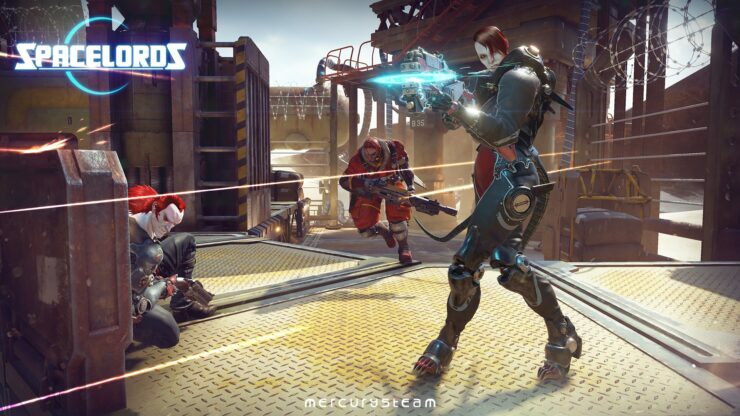 Ever since the launch of the third campaign MercurySteam have been able to turn around what was a declining player base, with retention actually increasing and more players staying with the game as more content is made available. Spacelords uses everything the developers have learned and takes it to the next level. The game will be absolutely free with no paywalls in sight. All four campaigns and the characters that come with them will be available. There won’t be any costs beyond the time it takes to progress and unlock them. The way the game will be monetised is by following the games as a service route. There will be an in-game currency, Mercury Points. These mercury points can then be used to purchase in-game currency, skins or experience boosters. While it’s completely possible to think of an experience booster as a pay-to-win method, it’s far from that due to the matchmaking system Spacelords has in place. Currently, Raiders has the same system, but it’s one that is getting refined daily as more data is crunched from the game. What the game does is judge your ability not only based on your success in completing a mission but also how good you are at dealing damage, the damage you take and your actions within any given mission. It’s all done to generate your matchmaking rating (MMR) and to create the most balanced system possible. Essentially, you at level 20 could be facing off against a level 100, but both be at an equal skill level. No advantage, other than character unlocks, is gained through your level. This is something that MercurySteam are constantly working on refining to create a well and truly balanced game. I was told that the very worst ratio the game currently has of wins to losses is 60/40, or vice-versa, with the game always aiming to even out at 50.50. As well as that, the cross-play function between PC and PS4 or PC and Xbox One opens up a smaller base (PC) to a larger one, with there being no advantage to playing with a mouse & Keyboard over a controller. Average concurrent users across all platforms stand at around 3000. When you start Spacelords, you are randomly assigned one of the four campaigns to play. Complete the first mission to unlock the next one, and so forth. Complete the campaign and then move onto the next campaign. If you own a campaign from Raiders, it is completely unlocked from the beginning. Of course, every campaign and mission is replayable. In the current release of Raiders, there is a solo mode and it’s something that players have found unrewarding, to say the least. This is because you get no rewards for playing solo. When Spacelords launches, Solo mode is completely overhauled and becomes a training mode. Training mode will then reward players as it should do, and also offers a variety of challenges in difficulty for players. Of course, to prevent somebody simply jumping in and grinding solo, the missions have to be unlocked through gaining stars by completing the mission online a set, but small, number of times. Much like with the campaigns, if you own it from raiders then it is unlocked from the start. Another move to bring more content to everybody is the new way of unlocking characters. Now, all characters will be unlocked through the progression system, even those that were DLC exclusive in the past. Each character has a level you need to hit to be able to use them. Those that owned the DLC will have the characters unlocked from the beginning. The launch of Spacelords and the fourth campaign is a month away, so what about now? Until then, MercurySteam has a lot to offer people who are currently playing the game and also those wanting to try it. One core feature for those who don’t own campaigns is the mission of the week, which allows anybody to try a mission, even if they don’t own that campaign. This will now become Mission of the Day until the launch of Spacelords. The other option to play missions you don’t own was to rent them using in-game gold. The cost of renting these missions has been dramatically reduced. If ever there was a time to play Raiders of the Broken Planet, it is now. The game has never been this generous, though it’s about to become a whole lot more. Let me ease any concerns for current players, the core gameplay is no different. Those who enjoy Raiders will find no untoward surprises and will be able to drop right into Spacelords with no issues in the slightest. All current players will have kept any content they previously purchased. Indeed, anybody who has purchased any of the campaigns of Raiders of the Broken Planet will be rewarded with exclusive and unique content. This content won’t be available anywhere else. There’s little doubt of the passion found within MercurySteam. During my trip to their headquarters in Madrid, I was able to have a hands-on session with the final two missions of the new campaign, as well as interview four key members of the team: Enric Álvarez, the co-owner and Game Director; Jorge Benedito, the Art Director; Joan Amat, the Lead Designer and Hernán Ojuel, the Technical Designer. My impressions and these interviews will come over the coming days as we build up to the worldwide reveal of Spacelords on the 23rd of July. 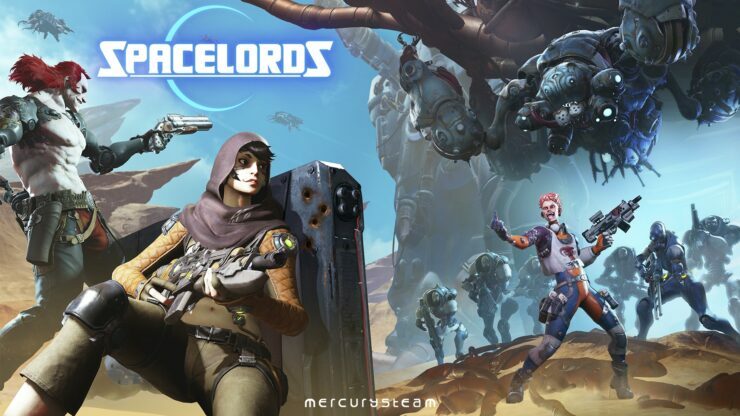 For now, what I want to say is that for veterans of the game and newcomers alike, Spacelords is such a dramatic improvement on Raiders of the Broken Planet that it’s something you should be keeping an eye on. 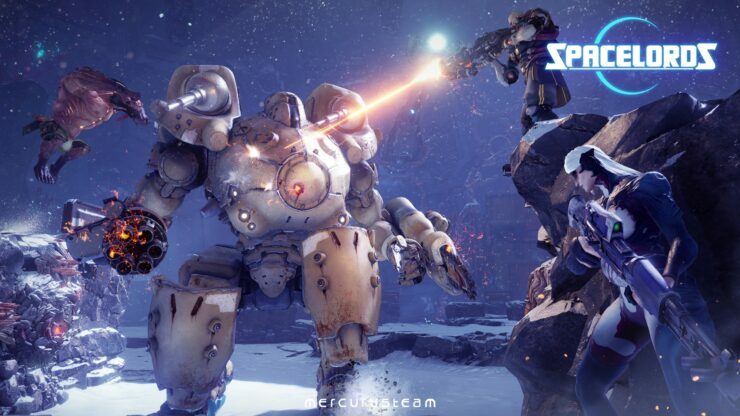 Until then, I highly recommend playing Raiders of the Broken Planet and accustoming yourself to one of the most unique and entertaining shooters around.